She produced several original albums in which Arabic music was the centerpiece of her compositions that include jazz, cinematic, orchestral, pop/rock and even Spanish influences. Her unique blend of styles and cultural bridging has earned her performances in New York City, Senegal, Beirut, Palestine, Jordan, London, Tunisia and at the Nobel Peace Award Ceremonies in Oslo, Norway. 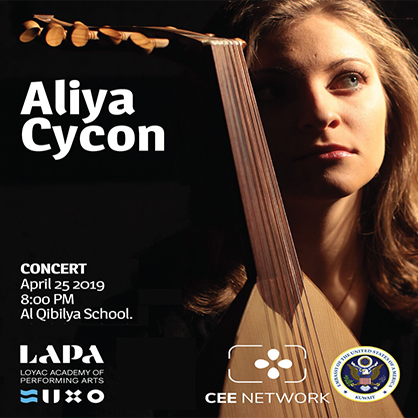 In this concert, Aliya is accompanied by LAPA’s ensemble to perform some of her original Arabic inspired songs, in addition to re-arranged songs of the region.